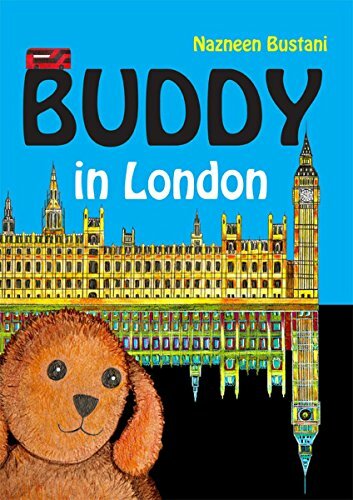 Join Buddy, a dog who loves adventures, and best friend Peggy, a magic tent, on an exciting journey across London. Discover new friends and new places. See Big Ben, Buckingham Palace, London Eye, Trafalgar Square, Natural History Museum, Notting Hill Carnival, Pearly Kings and Queens, City of London, St Paul's Cathedral, Monument to the Great Fire of London, Tower of London, Tower Bridge, River Thames and Greenwich. Meet a roaring dinosaur and be dazzled by the sparkling Crown Jewels. Go on a treasure hunt with Buddy and friends. Discover London’s great landmarks, history, architecture and people in this colourfully illustrated picture book. Illustrations are hand drawn and painted with watercolours. Buddy in London has Kindle Text Pop-Up to enhance your reading experience. Double-tap a text area to enable Text Pop-Up for easy reading. Double-tap the screen to finish using the Text Pop-Up.